Summer is here! 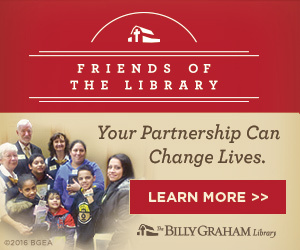 As you make plans for fun trips and vacations, why not consider visiting us here at the Billy Graham Library? Rated the #1 thing to do in Charlotte on TripAdvisor, the Library offers a unique experience for the whole family. If you’re still curious, here are five reasons to include it in your summer plans. In The Journey of Faith tour, you can retrace Billy Graham’s journey from a farm boy to a well-known world evangelist. Through various films, photos, and memorabilia, you will experience how God used Mr. Graham to preach the truth of the Gospel to millions. 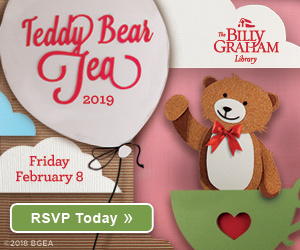 You’ll learn all about Billy Graham’s crusades, friendships with presidents, the lasting impact he has had on generations, and more. Surrounding the grounds of the Library are the beautiful flowers and greenery of the Memorial Prayer Garden. While walking through this peaceful setting, you can take the time to visit the burial sites for Billy Graham and Ruth Bell Graham, as well as other longtime members of the Billy Graham Crusade Team. From kids to adults, there is something for everyone. The moment you walk into the Library you will be greeted by an interactive cow named Bessie, a kid-favorite! Children are also given an opportunity to complete a scavenger hunt while walking through the tour. Adults and children will both enjoy the bookstore, with historical and spiritual books for adults as well as devotions and coloring books for children. What better way to cool off than by getting a sweet treat from the Graham Brother’s Dairy Bar? 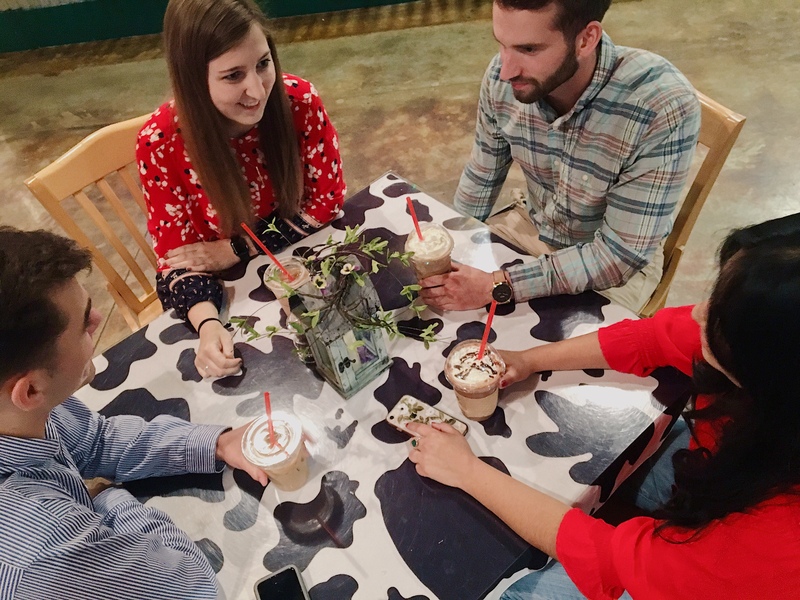 We offer delicious milkshakes, root beer floats, and ice cream. We’ve recently added cold coffee drinks such as blended frappes to the menu, so there are plenty of refreshing options. That’s right! 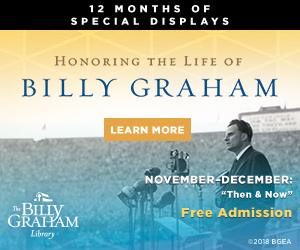 Admission to the Billy Graham Library is free. With all of the exhibits to explore and fun to be had, it’s hard to beat free admission! 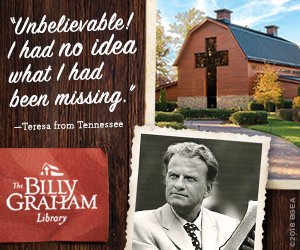 Plan your trip to the Billy Graham Library here. My family and I will be visiting the first week in July and we are looking forward to our time at the Billy Graham Library!! Since moving to North Carolina I had visited Billy Graham Library a few times and enjoyed it very much. I can’t believe how many lives Billy Graham has touched. The Library is one of the most inspiring place and event ever. It is a experience not to be missed. I am from Manila, Philippines. I arrived yesterday to Charlotte from NY City to fulfill my dream to visit the Library. I admire Billy Graham. As a young person, I attended an evangelistic meeting where he was supposed to speak but for some reason he was unable to come. The LORD is gracious to allow me to make this trip. More blessings to BGEA! Get the Milkshakes ready! I’ll be there Sat. 6/23 from beautiful Monroe, WA! My husband and I visited the library last summer. It was a very rewarding trip. I enjoyed it as so did my husband. It made me feel even closer to the God I dearly love. I grew up watching the Crusades on TV and would have loved to be able to get to one but we where unable to go, but the Library brought them to me. I am bringing my 90 yr old mother next week. She loved Mr. Graham so much. Are you wheelchair friendly inside? She is unable to walk distances. Yes we are wheelchair friendly. So glad you are bringing your mother to the Library! Looking forward to our visit there in July.